Whether you are a homeowner, business owner, or a property manager, you would definitely want the best value for your money, especially when it comes to roofing. As a leading roofing contractor here in Austin, Texas, Dustin Johnson Exteriors & Roofing recognizes the importance of every roof in a household or commercial building. That is why when it comes to roofing services we only deal with and utilize top quality brands that can give you the best value for your roofing expenses. Dustin Johnson Exteriors & Roofing provides a wide array of roofing services, which includes but not limited to roof installation, roof replacement, and roof repair. Although we are a full-service roofing contractor, our main specialty when it comes to roofing is composite roofing which is the most common type of roofing material being used by most homeowners and property managers here in Travis County, if not in the whole United States. Unlike other roofing materials, shingle roofs are easy to install and can last for around 20 to 50 years, especially when properly handled by a roofing expert like yours truly. When it comes to shingle roofing service, our company trust only the best. We only make use of top quality roofing material like Owens Corning shingles. We decided to partner with Owens Corning because of the confidence we have in their product that has been duly recognized in the general construction and roofing industry for more than 65 years. Owens Corning roofing products, particularly their composite shingles are prominently recognized as a major contributor in making homes and businesses a more comfortable, durable, reliable, and aesthetically pleasing structure. In any roofing issues, especially those involves complete roof replacement or new roof installation, Owens Corning shingle roofing is highly suggested by our company because of its total protection that is more than shingle deep. The when dealing with a roofing project, we adhere to the principle of Seal, Defend, and Breathe, which is also the objective of the integrated system of components and layers that Owens Corning provide. 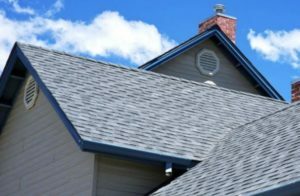 Such roofing performance relies upon a whole arrangement of items that complement each other, including yet not restricted to attic insulation, underlayment, hip and ridge shingles, and ventilation. That is the reason we trust Owens Corning Roofing System and its lineup of fundamental roofing materials that aims to provide durability for your roof and also the assurance of safety and protection to your home and business. Why We Choose Owens Corning Shingle Roof? The number one purpose of our roofing service is to seal your property from external elements such as rainwater and snow. With the help of reliable roofing product such as the asphalt shingles from Owens Corning, we deliver a reliable waterproof barrier, while adding a tough yet beautiful layer of defense in the process. Similarly, another goal of our roofing service is to optimize the airflow in your attic. An optimized ventilation and airflow in your roofing system are essential in order to avoid moisture accumulation and mold infestation. With the help of Owens Corning products, we are able to reduce heat and moisture buildup in your property that may lead to roof deterioration. We use reliable and efficient materials in any roofing services, especially roof installation and replacement in order to give you the best output that will last for a period of time. Along with high-quality roofing materials, we are confident enough that such assurance of prompt, reliable, and efficient roofing service may be carried out thanks to our highly trained personnel. Here at Dustin Johnson Exteriors & Roofing, we only deal with the best, not only in products but also with our personnel. That is why we only deploy highly competent and experienced roofers and project managers to deal with your roofing concerns. Thus affording you total protection and confidence the Owens Corning & Dustin Johnson Exteriors & Roofing way. Check What They Are Saying Our About Our Services! Get in touch with us concerning any roofing issues or demands you have. Aside from our reputable roofing services, we also provide services for your windows, siding, gutters & gutter guard, garage doors, & pergola system. You may call us at (512) 337-2661 or visit our office centrally located at 901 S MoPac, Expy building 1, #300 Austin, TX 78746 for personal consultation and free estimate. Contact Us Today.